Do you want kids to take their studies seriously? Give them personalized magnifying rulers from Promo4kids.com. 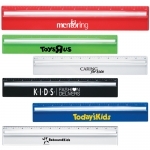 These rulers will offer you several promotional opportunities to promote your brand. You can give these best seller rulers to kids during the next promotional event, book fair, parents-teacher meet or educational conferences because these will trigger interest in kids and allow your school or educational institution to show commitment to studies and education. You will receive free e-design proofs and free artwork assistance with your purchase. We offer one of the most budget-friendly selections of promotional magnifying rulers ever, so you can order them in bulk to receive attractive discounts. Our fast production time and fast shipping facilities will allow you to remain equipped before the next promotional event. Today, kids and parents both love to receive gifts that allow them to do multiple tasks at one moment. With studies becoming tougher and competitive, kids are required to do various tasks at a time. It is here that custom printed magnifying rulers come to use. They combine clarity and measurement to offer the best of both worlds. This means that kids can use these rulers for measurements and magnifier for reading small letters in their textbooks or magazines. Personalized magnifying rulers are the best way to make kids realize why your brand matters. Give these logo magnifying rulers to kids at the very next available opportunity to make an impact that is too easy to measure. 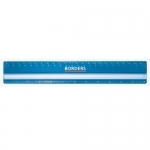 A ruler with magnifier possesses a large imprint area and it will help intensify your brand image to them. 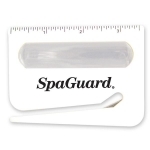 Since these rulers possess transparent bodies which means your brand logo will take the center stage. You can gift custom printed magnifying rulers during any of those special occasions where kids are expected to turn up. 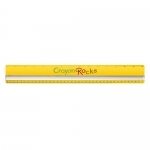 These rulers will make great back to school gifts, acknowledgment gifts for high mark scorers, trade show giveaways and complement in school stationery sets. If you feel the need to equip the confidence of a kid, it is always better to team these promotional magnifying rulers with other promotional giveaways for kids such as erasers, pens and pencils. 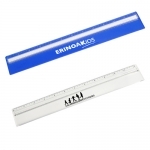 If you are yet to find a promotional magnifying ruler or other customized rulers that fit into your budget and meets your promotional requirements, we will help you. Call us at 855-454-3786 or write to us at info@promo4kids.com for details about best buy prices, imprint options and promotional benefits of rulers.